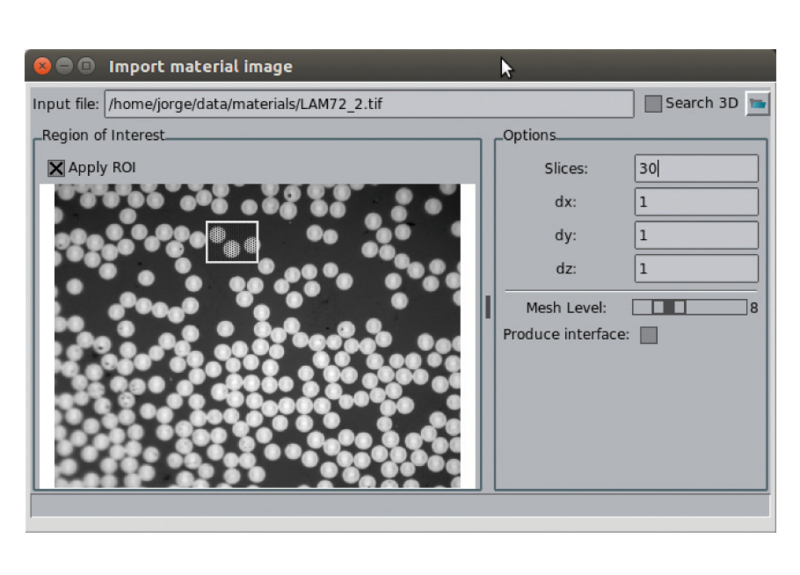 The GiDML_Image2Mesh module generates a volume mesh directly from 3D images. The unstructured tetrahedral mesh is generated from a 3D grid of voxels, in which the material is coded as a color. The mesh is automatically refined in the regions where there are different materials, in order to capture the interface between them. 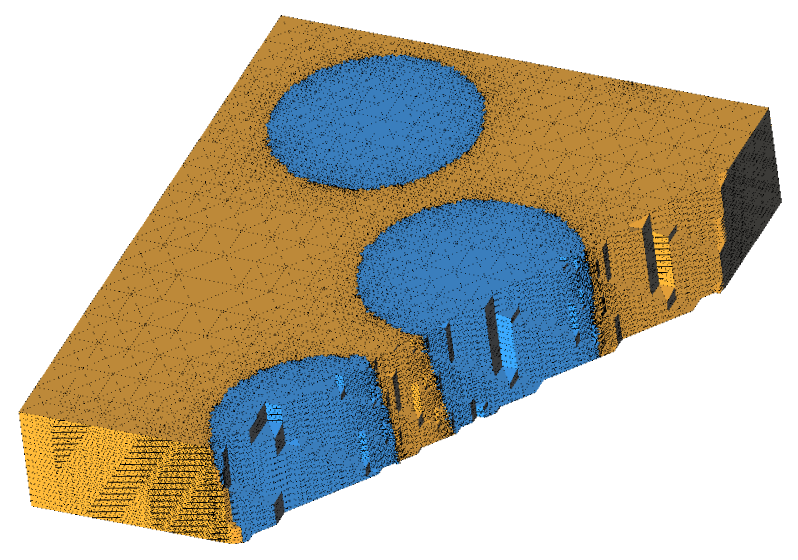 This module is especially useful to automatically generate meshes from 3D medical images or CT scans of materials among others. Fast and robust: It generates always a mesh from the 3D image. It is based on an octree subdivision approach, which makes it extremely fast, also taking advantage of a parallel implementation. Adaptable resolution: The resolution can be adjusted to reduce the output mesh size or to capture details of the input voxels. Periodicity in the final mesh: The information of the relationship bet­ween periodic nodes and elements is provided automatically. The integration of this module into another software requires an agreement with CIMNE. For further information please contact gidml@cimne.upc.edu.